(Watchdog.org) Springfield, IL – There are nearly 80 news faces in the Illinois statehouse since voters chose a governor four years ago, but even that’s not enough turnover to satisfy most voters in the state. A new poll from the Paul Simon Public Policy Institute shows that 79 percent of voters support term limits of some kind. 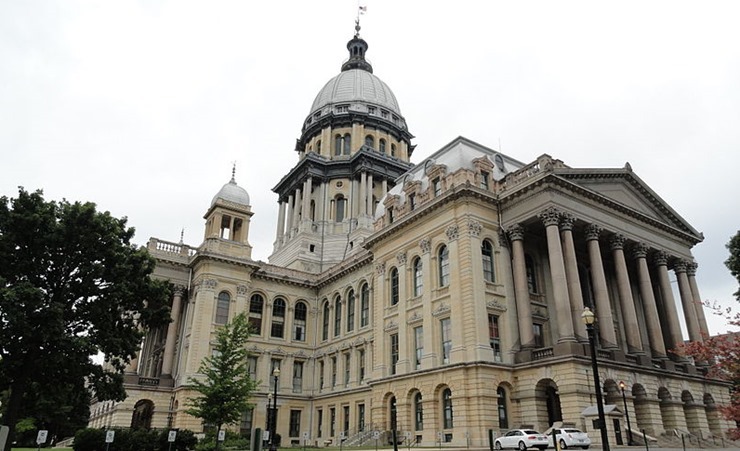 “People are so unhappy with Illinois’ gerrymandered redistricting and politics that the only tool they feel they have for rotating the crops in Springfield is a term limits measure,” said director David Yepsen. Voters have managed to rotate elected leaders in Springfield with some regularity comparing the current roster, for the 98th General Assembly, with a roster for the 96thGeneral Assembly, which served from 2008 to 2010. In the Illinois House, 52 lawmakers (44 percent) are no longer serving. In the Illinois Senate, 23 lawmakers (38 percent) have moved on or moved away. “One thing that’s important to note, term limits will not give us a citizen legislature,” said University of Illinois political science professor Chris Mooney. He said if the Legislature is weakened by term limits, the governor’s powers would grow. But still, Mooney said, Americans by-and-large like the idea of term limits. The Simon poll may indicate if term limit supporters can get a term limit question on the ballot, voters may overwhelmingly support it. Why are Illinois lawmakers considering taking over high school sports in the state? There are four million reasons. Fewer than two in 10 teachers in Illinois say they’re completely ready for Common Core, despite Illinois being in its 4th year of the new learning standards.